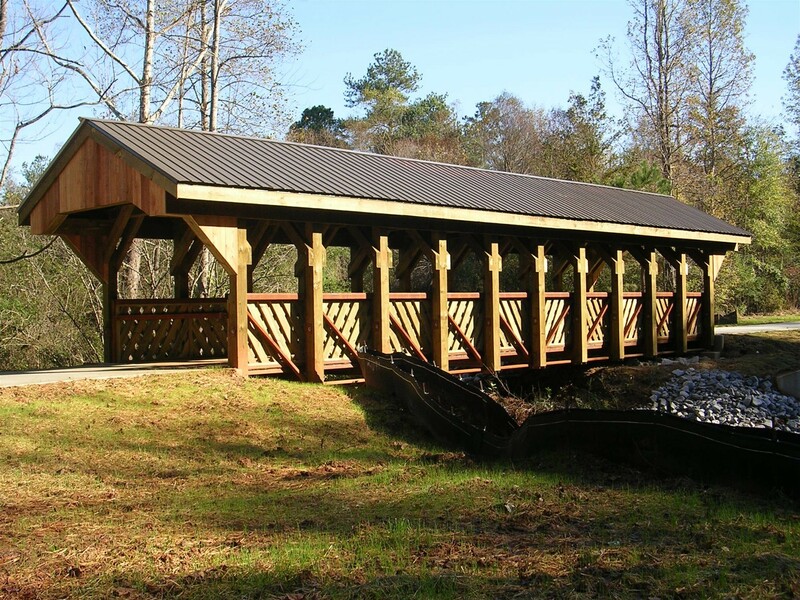 Foundation Masters, LLC will build you the most beautiful Covered Bridge, that your project budget will allow. This is one of the most rewarding Bridges to build! We look forward to theses types of projects, call us today. A covered bridge is a timber truss system with a roof and side rails or siding, most covered bridges, create an almost complete enclosure. One of the main purposes of the covering is to protect the wooden structural members from the weather. Uncovered wooden bridges have a life span of only 15 to 20 years due to weather conditions. These are some other reasons for Covered Bridges, protecting wood trusses, protecting pedestrians and keeping horses from shying away from water.